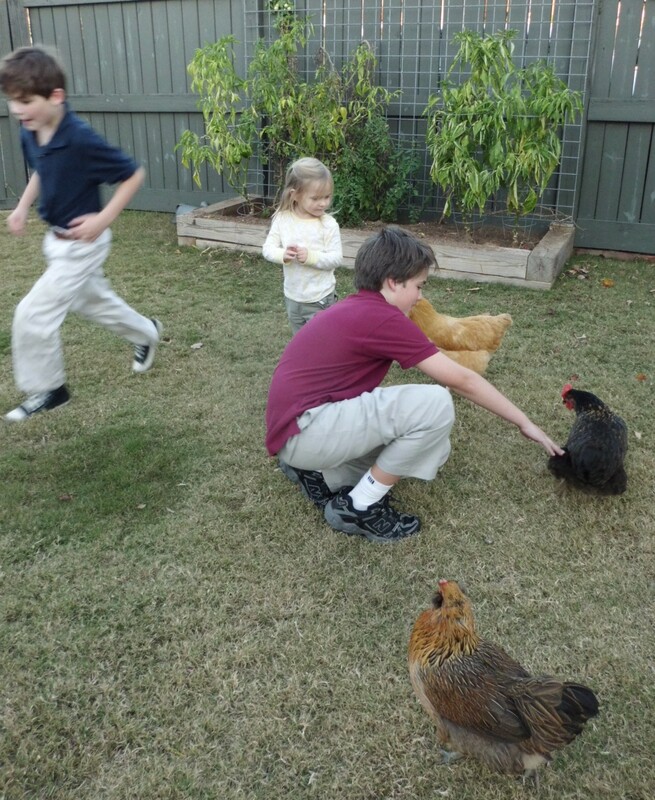 I love when young kids visit my back yard to play with chickens. 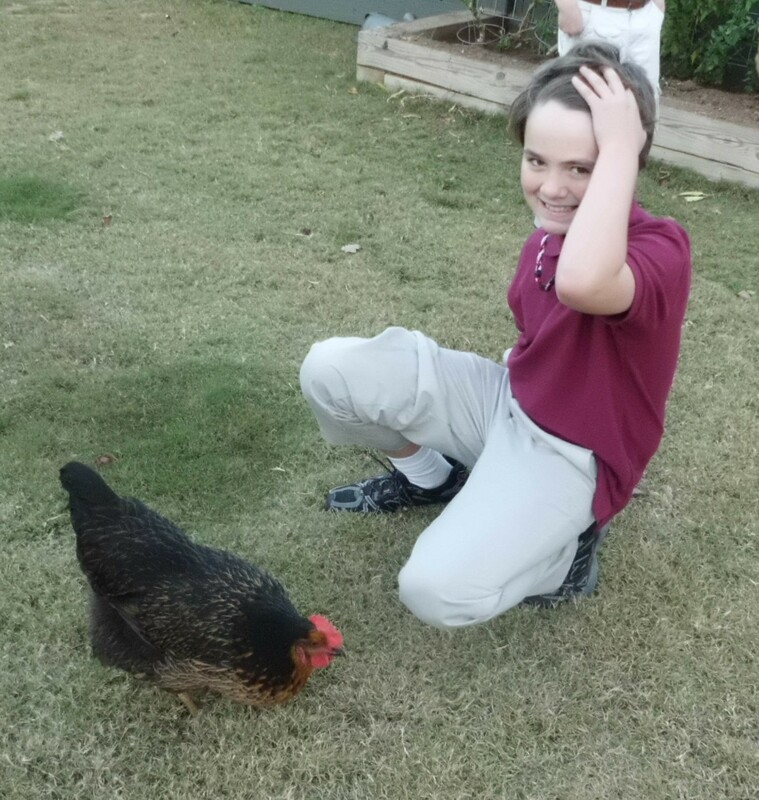 I figure for every kid who has a fun experience with my girls, it adds another Urban Chicken advocate to the cause of sustainable, humanely raised food. 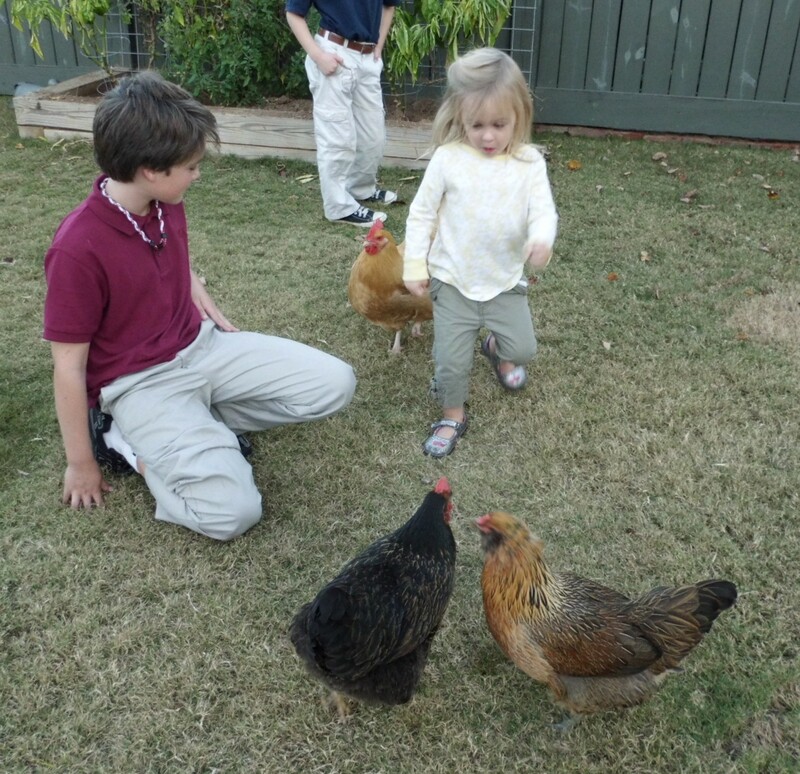 I know they’re certainly not thinking along these lines when they squeal with delight to see a fat yellow chicken jump two feet off the ground to grab a treat; but the seed has been planted. When they take home an egg they find in the nest box, it becomes easier for them to consider that this is a more natural and fun way to eat. These three particular children have stopped by before and I was struck not only with their appearance (all three beautiful kids) but also with their impeccable, courtly manners. Not since the 50s have I heard such phrases as “pardon me”, “may I ask a question”, and “thank you so much”. OK, I wasn’t alive then, but I have seen a lot of black and white TV. Even Opie Taylor didn’t pepper his every sentence with a “ma’am”! Mom, can we get one? I’m not sure what manual their mom is using, but she needs to spread the word!